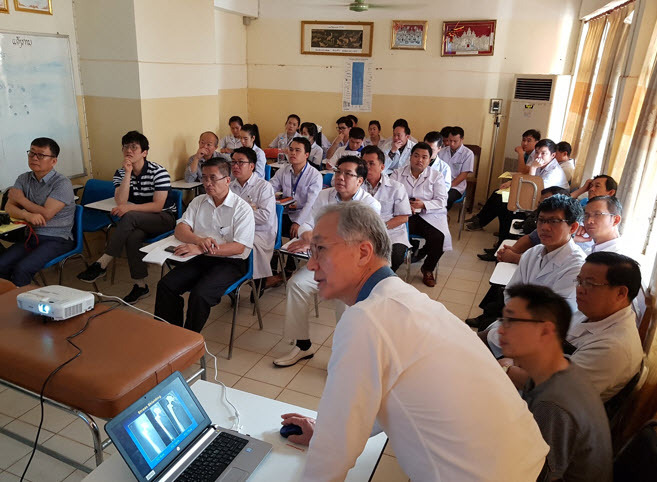 Dr. Kim In Kwon gives a lecture on joint surgery to Laotian doctors. It’s February 14, 2018 at a hospital in Vientiane, Laos. Dr. Kim In Kwon, Director Emeritus of the Yeosu Ae-Yang Hospital in Korea, leads a surgical procedure in a small operating room with only a single surgical bed, a surgical light and a heart rate monitor. The patient is 87-year-old Bun-Ma, who had previously undergone a hip replacement surgery from a local physician. Due to improper surgical practices, however, the joint was never properly attached. Following removal of the artificial joint, Dr. Kim and his medical staff cap the bone to secure it in place. Though this procedure can often take up to three or four hours, Dr. Kim's team skillfully finish in 30 minutes. Over the span of four days, the team carried out 23 free surgical services like this one. Many Lao patients—like 19-year-old Tanosak, who could not walk properly due to a severe case of rheumatoid arthritis—were able to receive free surgical care from the Korean staff. 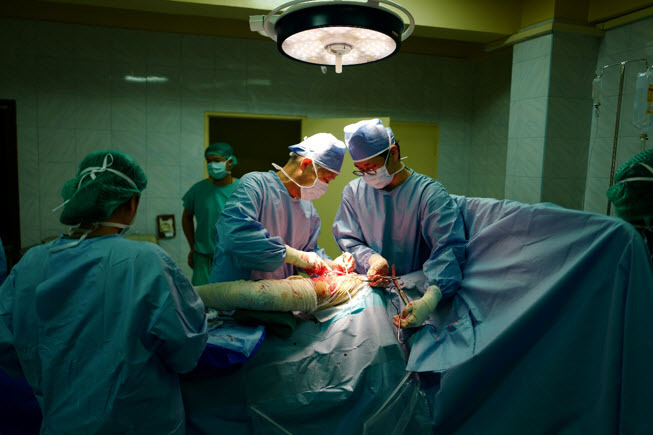 Dr. Kim In Kwon is performing a hip surgery and the Laotian doctors participated as learners. The Seoul Project was launched in 2010 by the SNU College of Medicine and is funded by the Korea International Health Care Foundation. 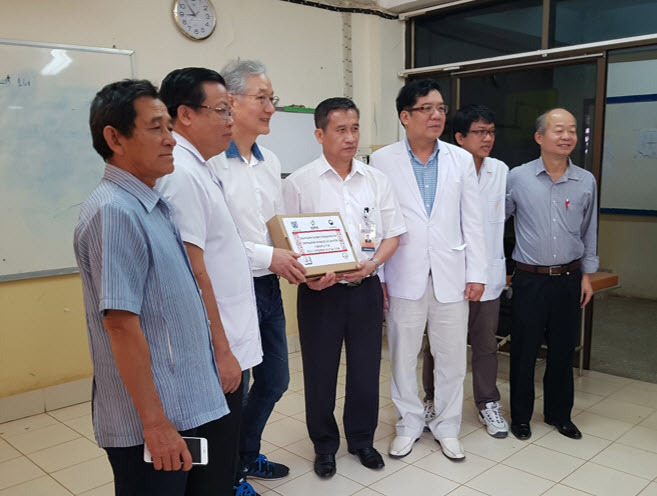 Named after Dr. Lee Jong-wook, SNU College of Medicine alumnus and former Director-General of the World Health Organization, the project selects about ten Lao medical practitioners each year to train at hospitals such as the SNU Hospital and Yeosu Ae-Yang Hospital. The project aims to carry on the legacy of the U.S.-funded Minnesota Project. Following the Korean War (1950-1953), the U.S. government launched the Minnesota Project to assist Korea in engineering, medicine, agriculture, and public administration sectors. To help build Korea’s medical infrastructure, more than 70 young SNU doctors were trained at the University of Minnesota, while a number of medical experts from different fields at the University of Minnesota were sent to SNU to lead medical initiatives. Kwon E-hyock, former Seoul National University President and Minister of Health and Social Affairs, and Ho Wang Lee, who discovered the Hantann Virus, the leading cause of epidemic hemorrhagic fever, were two of many participants of the Minnesota Project that helped to advance medical care and health care standards in Korea.